The 210/250TC is designed for yachts from 55-78' loa. It's large, 13.15HP motor and robust gearing generate from 462 (@ 21V) to 550 lb (@ 24V) of thrust - all in only a 10" tunnel diameter. 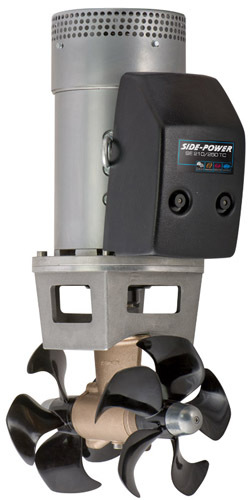 Like all other Sidepower units, it is loaded with safety features and has a wide range of accessories available to customize any installation to each owner's individual requirements. Copyright SailorSams.com LLC. All Rights Reserved.